With less than 24 hours until polls open up across the country, the Democrats are bringing out all the stops for their candidates. The polls are showing that the Democrats are facing disaster on 3 different fronts: possible loss of control of the Senate, further GOP control of the House, and further GOP control on Governorships. So the Democrats, their cronies, and donors have resorted to desperate tactics to sway voters in these final hours before Election Day. Firstly, the War on Women. While the Democrats have led us to believe for years that the Republican Party is completely anti-women, the hypocritical Democrats have showed they are the true perpetrators of the War on Women. In Iowa, the retiring Democrat Senator Tom Harkin stated at a local Democrat Party event, “….. Joni Ernst. She’s really attractive, and she sounds nice….. I don’t care if she’s as good looking as Taylor Swift, or as nice as Mr. Rogers…” These kinds of statements are wrong on so many levels. First off, it insinuates that looks and personality are the most important characteristics for women in politics. This narrative is demeaning and falls right in line with how the Democrats appeal to women voters by using celebrities and pushing personal social issues to win votes because fiscal, national security, and foreign policy issues are only important to men. Second, this directly insults Joni Ernst, Republican candidate for Iowa’s U.S. Senate seat, a woman whose resume includes holding an Iowa State Senate seat, currently serving as a Lieutenant Colonel in the Iowa Army National Guard, and earning Bachelor and Master degrees. It is far easier to paint conservative women as pretty, nice people than to actually admit they are intellectual, accomplished people dedicated to their country. Secondly, Race Baiting. This tactic has been used in multiple races to ensure that minority voters come out in droves, not because the Democrat candidate has a great platform but because the Republican candidate will apparently do everything in their power to hurt minorities. One race baiting campaign flyer in Alabama states that people in the black community needed to vote or their land would be given to klansman. 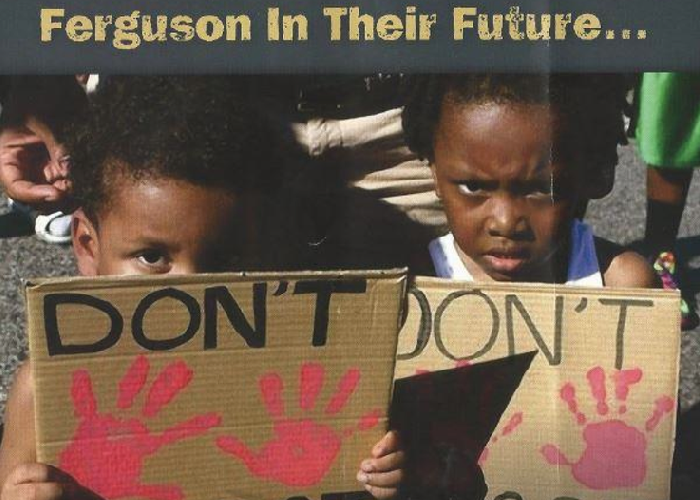 Campaign mailers in many Southern states have used imagery of Michael Brown to warn that white police officers will mow down people on the street if they do not vote for Democrats. In Texas, a television ad running on the Spanish-language channels has warned that the Tea Party Republicans are radical terrorists who want to enact acts of violence against Hispanic families. The Democrats and their cronies running these ads are degrading minority groups by implying they are only a valued voter because of their skin tone and nothing else. They are using lies and threats to try to sway voters rather than run candidates on their own merits. Don’t be fooled by these desperate tactics. Vote smart tomorrow.